Audio enthusiasts have long held a golden-rule that a speaker cannot optimally perform as both a home theater AND hi-fi sound system. With the conflicting demands of high sound pressure levels required for the home theater component and the minimal distortion high definition playback for 2 channel systems, the audio industry has just accepted that there could never be a perfect balance between the two. Technology has finally caught up and Starke Sound is proud to introduce the H3-Elite. The H3-Elite has changed this standard by delivering incredible levels of clarity at high volumes and reproducing a signature stereo experience that every audiophile hopes to achieve. 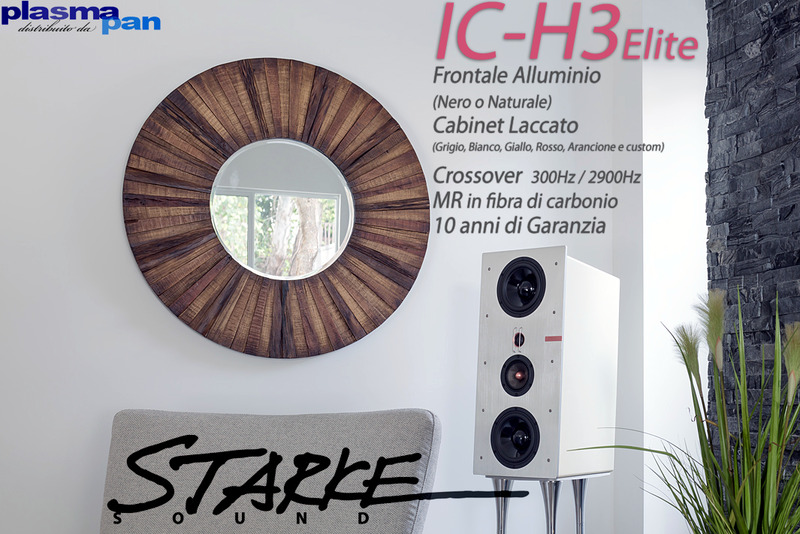 The H3-Elite comes in both in-wall and in-cabinet models that are as beautiful to the eye as they are crisp to the ear. LMF Technology™ is a patented loudspeaker driver technology by Starke Sound,Inc.